Today's real estate market has been busy, filled with triumphs (buying a new home), and defeats (buyer's cold feet)! Whether you're a buyer or a seller, as your Greater Newburyport REALTOR®, I'm always here to help guide you through the process and answer any questions you might have. Today I'd like to give you my Top 5 "HOTTEST" listings in Greater Newburyport - Let me know what you think! 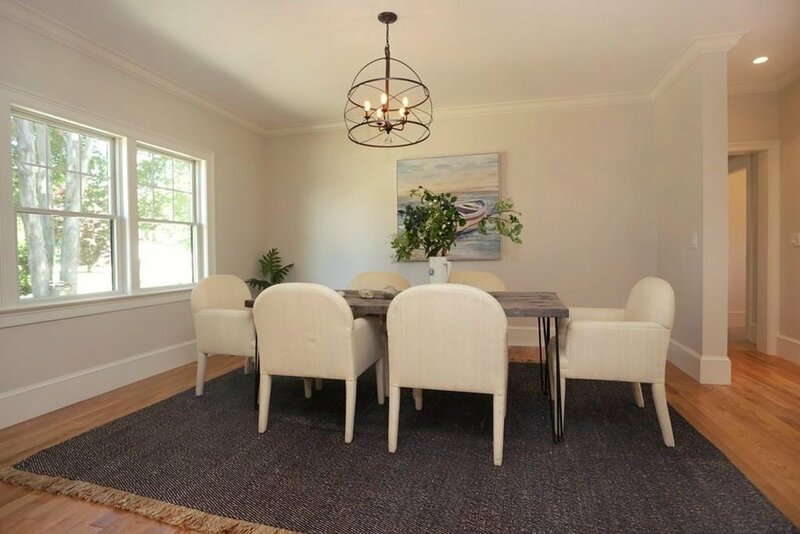 Nestled in the heart of the South End, this 3+ bedroom, 2.5 bath deeded half-house offers you the Newburyport lifestyle you have dreamed about. Fully updated in 2006 with newer systems and many updates since, this home perfectly blends period details with modern amenities. I also have a tour, come on in and let me show you! Situated perfectly on a corner lot in Newburyport's highly desirable North End! Built from the ground up with NO detail spared, you will see and feel the quality and grandness only a home built with such thought and expert craftsmanship could afford - the top notch construction is obvious at first glance. Click on pictures to see more photos! Welcome to the quintessential Newburyport home! The Nationally Registered Historic “Timothy Osgood House” is a traditional colonial single family home that sits on a lush yard complete with gardens and a detached one-car garage. The 3 bedroom, 2.5 bath one-of-a-kind property is flush with historic charm and boasts hardwood floors throughout, upgraded kitchen and baths, and a gas fireplace. The heating system is new in addition to other recent energy efficient updates. Exquisitely renovated classic Greek Revival period home on wonderful north end street. An addition was put on in 2011 providing space for a new fireplaced dining room and a new master suite on the second floor. No expense has been spared with amazing attention to detail by the owner dream team of Joppa Design, Britton Construction, Jewett Farms and Caswell Mechanical. The yard is an oasis with outdoor fireplace and stunning summer dining area. 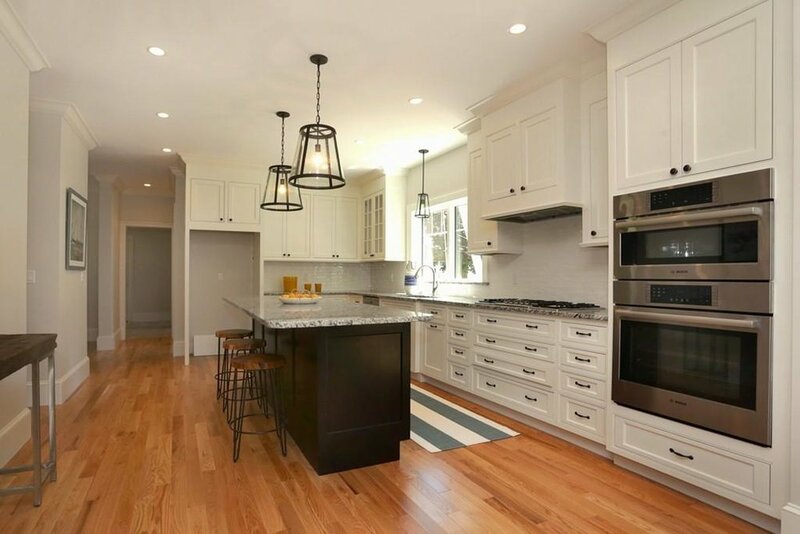 The kitchen is a chefs dream with a top of the line features such as a pot filler, stunning custom cabinets; Wolf, Sub Zero, Mielle, Uline appliances and Waterstone faucets. Comfort & exceptional layout comes together in this spacious 4-5 bedroom, 3.5 bath Colonial brimming with contemporary flair. For the past 25 years, this home has been the destination for countless celebrations, get-to-gethers, and just hanging out with friends. Located at the end of Wilkinson Drive, sitting proudly in a cul-de-sac on a professionally landscaped knoll enhanced with brick & granite walkway, stone walls & mature shrubs, is a home and floor plan designed for the ultimate in entertaining and day to day living. Well that's all folks! That is my June 2018 Greater Newburyport HOTTEST listings. If you're in the market to buy, please reach out to me or visit any listing on our Website! As always, if you have any questions, I'm always available to assist you in making your dreams come true!